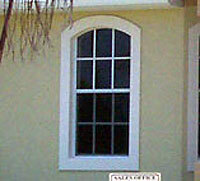 Shutter-Vue can install Flesher Windows and Doors. The following information is provided for the purpose of informing you about Flesher Windows and Doors. 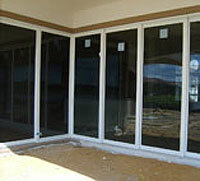 Flesher Windows Inc. is a distributer. We install their products. The links below will take you to the Flesher Website. The link opens in a separate window. Simply close the window to return to the Shutter-Vue website. Our goals at Flesher Windows, Inc. are to provide the highest quality, value based, products and services in the aluminum window and door manufacturing industry. Quality is the foundation of our structure. We believe that quality begins with each and every associate working together with a common goal in mind. The goal is the satisfaction of our customers. We achieve that by manufacturing a quality product, performing in house testing prior to shipment, providing factory trained sales and service personnel and by responding in a timely manner to all consumer needs. Extensive testing and certification is necessary for all of our products, we know the customer is getting the best possible product we can manufacture. This, we believe, will protect the customer’s investment in our window and door products. Whatever range of products one might purchase, our goal is to make sure it is a quality product that gets the job done.